After graduating in architecture, you have studied ethnoarcheology. A key topic in your work is precisely the relationship between architecture and ecology, and the importance of learning from botanists, anthropologists and archaeologists rather than from architects. What is the role of architecture in relation to these disciplines? I think architectural academia has to leave behind its corruption and obsession with fashion, forms and stardom. If architecture is to survive as a profession, the only way forward is to involve itself in the Earth’s issues, problems and threats. Architecture has to team up with politics to help perpetuate the sustainability of the Earth, particularly learning from botany, because plants have more vision than animals. The only future for architecture is to do what trees have been doing for millions of years: harvest energy, trap dust, pollution and carbon, provide habitats and food, work as a cooling system, produce oxygen, improve the general health of other species, and occupy a minimal footprint while providing maximum foliage area. The list is endless. As for geology, hydrology, anthropology, archaeology and other disciplines, I see them all as essential sources that offer serious architects the necessary tools to read the site and the situation before intervening, and also to take responsible, relevant, site-sensitive design decisions that are not just personal fantasies. You have a dual background as an architect and an artist. How does this influence both your practice as an architect and your relationship with nature? My artist side definitely influences me positively when I take architectural decisions, but I am also very critical of architects who behave like artists, or architecture that becomes sculpture, celebrating strange masses or making some kind of visual impact based on shocking the viewer and the place. Art is important because it questions the way we see with our eyes and our mind, but in most cases art must not have a direct function. What art can do is give the architect a deeper understanding and greater penetration of a situation where architectural intervention is needed. So with the tools of an artist—in my case, an artist interested in art related to landscape and earth sciences in general—and as an architect, I like to allow the site to be the lead designer, to protect the product from the gimmicks and fashions that unfortunately prevail in modern architecture. Wounded nature gives me a cross-section of nature, the mind and the might of humankind; it’s a complex situation that is rich and contradictory, and therefore exciting, bearing in mind that the entire geomorphological shaping of landscape in geology can also be attributed to a process of wounds that nature inflicts on itself. In 1986, you pubished the book “Notes on Village Architecture in Jordan”, a collection of observations on Jordan’s rural living environment. Could you talk about the relationship between traditional rural environments and the topographic conditions of the Jordanian landscape? Since then, you have developed a strong interest on cultural and environmental preservation. How do you credit the importance of these issues in your work? Cultural and environmental preservation is the responsibility of maintaining the fullest possible record of decisions made by humans in the past, as well as those of living and non-living nature and its self-shaping behaviour since way before humans existed. The central idea here is that responsible architecture should never start by outsmarting, outwitting, masking, corrupting, confronting or dwarfing cultural or natural features. One example of this approach is the restoration of Dana Village, a community-based hospitality project. Dana is a typical Jordanian village from between 1890 and 1930, which sits on mountainous rocky cliffs parallel to the Great Rift Valley. Its architecture, like that of most of the Jordanian highland, was built with stone, a simple cubic geometry with internal arches. From the 1960s to the 1980s, the village was deserted, like most of those around it. Being on the periphery of a nature reserve that attracts tourism, Dana was subject to negative development attempts as locals felt obliged to forge heritage by adding fake additions. In response, a scheme was proposed to preserve the village from erroneous development or demolition. This project is not an architectural statement for the practice; its real architects were the original builders. What is your approach towards traditional materials and techniques? How do you envision innovation in this context? The importance of traditional architecture lies in its strong ties with its specific site, context, regional ecology and social meaning. In the Third World and developing countries, architecture has to be viewed in its socio-economic context, and this means looking at how the construction budget is spent and where the money goes. It’s not a matter of choosing between traditional and contemporary architecture, and especially not of seeing these two options as styles. It’s all about innovation: coming up with a kind of hybrid solution that offers tremendous benefits, combining traditional construction techniques or materials with the latest possibilities and technological advances. "Innovation means bringing together global technology with the hyperlocal wealth of traditional solutions that we can rethink and reintroduce in very innovative, contemporary ways." Your work has a very strong relationship with topography, using different strategies to address landscape. How do the topographic conditions influence your work, and what design strategies do you develop in response to them? Although I love difficult sites, particularly cliffs, I also feel uncomfortable or uneasy about making additions to them. Complex topography is an elaborate design that surpasses the imagination of any architect in terms of detail. In each situation, I try to keep this natural complexity in the forefront as much as possible, and somehow get the extra mileage from elaborate elements that are way beyond the best of my skills as an architect. Difficult sites are normally complete without any kind of intervention; only very careful alterations may be needed to give them the missing 10% in order for them to function in accordance with contemporary aspirations and needs. In many of our projects, the challenges of the difficult nature of a site are responsible for design decisions. We regard architecture and structural conception as inseparable aspects of the project. We actually prefer difficult sites, and the market in Jordan has picked up on our excitement. The structural conception involved in enabling a site to perform contemporary functions often guides the course of the overall architecture intervention. The Royal Academy for the Conservation of Nature was built using stone left in the abandoned quarry that became the site of the building. The contractor and his team were asked to use traditional Jordanian stone masonry (specifically the rubblework method in the walls of village houses dating from the late Ottoman period), combining traditional methods with contemporary detailing and even structural systems, such as large cantilevers. The construction techniques took the traditional rubblework detail into unprecedented areas, such as the detail of sharp, wedge- or blade-like ends to the stone walls. Construction also involved using straw as a filler to maximize thermal insulation of the outer walls and other parts of the building. This process used unfinished cement blocks with cavities to provide an acoustic-absorbent finish. The bridge leading to this building has a very simple construction. The contractor and workers were shown how found and wounded nature can do most of the work. The old quarry holds the arch between its giant jaws, its infinite strength absorbing the lateral thrust of the masonry arch. The pedestrian path over the arch was constructed using the simplest, most basic shuttering method used to build all houses in less wealthy parts of the Jordanian countryside. This produced blade-sharp ends that give reinforced concrete an expression of paper-thinness, accepting the falling edges that might, in time, come to look like frayed, torn paper. In general, we like to design by taking the workers’ everyday practices to new orbits. When they see the result, they are often greatly surprised and feel a true sense of pride and meaningful ownership of the overall design. The Wild Jordan Nature Center is located in a steeply sloping site, with a high difference of about seven floors. The structure was designed to allow it to hover above the site with a minimal footprint and foundation, which allowed plants, light and space to penetrate beneath. The building holds tight to the upper street, rather like the decking of a seafront or harbour pier or an oil rig in the ocean. In this part of the world, people traditionally build the ground floor, and then leave the exposed columns sticking out as hopeful sign of one day extending their homes. In the Nature Center, it was an upside-down building sequence, starting by the ground floor and then stucking the columns down, enabling possible infill in the future. We design buildings that can be easily built by low- to intermediate-skilled contractors. We think architecture should have a meaningful cost in general, with an equally meaningful distribution. We also think great architectural qualities can be achieved using more modest and often low-tech or hybrid structural, material and finishing options. The Wild Jordan Nature Center was designed structurally and architecturally using the basic structural system of reinforced post-and-beam skeleton currently used by 90% of Ammani houses particularly in poorer neighbourhoods – a modular proportion of fours and fives, which originally stemmed from the length of the shuttering wood. This allowed us to save unnecessary spending and free up funds for the rest of the brief. The Wild Jordan Nature Center was also designed to withstand earthquakes; simulation software was used to allow the building to escape the lateral thrust of the cliff in the event of seismic activity. This simulation suggested designing less rigid bridges between the two towers and the upper street to prevent them transferring the lateral load of the Jabal Amman hill to the towers, and allow them to bend partially but not collapse so that they can be used for evacuation. In the late 1980s and early 1990s, the Jordanian Government decided to close down many functioning quarries for a variety of environmental reasons. The abandoned quarries remained as open wounds in the landscape. The site of the new building contains the ghost of a former quarry. The building design is based on the quarry cut line and follows it closely, creating a linear addition of constructed stone to the bedrock, which becomes the foundation of the building. After crossing a bridge spanning the 30 metres of the quarry mouth (the longest masonry arch in Jordan), the Academy Building welcomes the visitor at the centre of its two functions: to the left, an environmental academy that offers nature-oriented educational programmes and, to the right, a high-end restaurant and craft shop that fund the academic programme. The building is constructed in Ajlouni limestone from the site’s quarry and others, given a very basic treatment. The massive southern elevation has very small windows with giant vertical blade-like stone cracks that shear into zero width, bringing light into the circulation and facility areas. The corridors are defined by a crack in the ceiling that lets natural sunlight in and guides the visitor into the academy. On the opposite side, the building overlooks a forest above which it hovers, barely touching it. The building has a minimal footprint as the foundation cantilever tilts at 45 degrees above the forest floor, and cantilevered terraces with blade-like edges float, almost like paper, above the canopies of the trees. The topography of the site in the Jabal Amman area, a very steep slope between two roads, was exceptionally challenging. Conceived as a mass hanging from the upper street, the building flies in space like a table or a chair with bare concrete trusses as legs. The light, needle-like columns and the minimum footprint allowed the land to breathe, and, with an abundance of light and sun, the flora and vegetation present on the site cover the natural topography. In Amman, most of the buildings have a cubic geometry with four main side elevations. Since it is a mountainous city with low-rise buildings, the roof acts as a fifth elevation, adding a third dimension. As a result of hanging the building’s mass, the Wild Jordan Nature Center exposes an extra elevation: the bottom face of the cube. The Center comprises two cubes, each 10×10 metres, maintaining the same proportions and speaking the same language as the interlocking mass and void that characterise Al-Balad (Downtown Amman). The building followed the scale and the humble spirit of traditional Ammani houses, recreating the same ‘grain size’. The materials of Downtown Amman are also reflected in the building, with its roughness, its almost-dirty look and its vandalism-proof nature. It is easy to label the result as brutal, yet it is shaped by a more complex, sensual approach to the humble. The Nature Center was not supposed to outsmart the modest context of Al-Balad; it had a bigger agenda of conservation and promotion of nature to young people through its programme, design and details. The building and furnishings were designed to celebrate a very cheap, industrial use of materials, many of which were recycled. The Nature Center’s programme flows easily through the space, with many multifunctional areas. The space houses a crafts shop, an organic shop, a café, and lecture halls to support and promote eco-tourism, as well as offices and exhibition spaces. The highlight of the Nature Centre, however, is the upper terrace, which serves as an urban marketing station where many tourism groups and even architecture students stop to admire the multi-layered city. 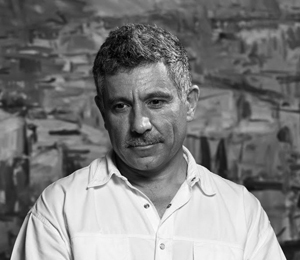 Ammar Khammash (Amman, 1960) is an architect, artist and photographer. He obtained a B.A. in architecture from the University of Southwestern Louisiana in 1986, and later studied ethnoarchaeology at the Institute of Archaeology and Anthropology at Yarmuk University in Irbid, Jordan. 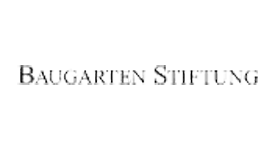 Khammash Architects started in the late 1980’s. Its methodology and scope encompasses diverse fields such as history, geology, archaeology, ecology, ethnography and socio-economics. Early projects focused on restoration and renovation of historic sites as well as interventions within cultural and natural heritage sites. The office later expanded and became involved in numerous projects in Jordan, Oman, Palestine, Egypt, Syria and the UAE, ranging from master planning and urban design to sustainable tourism design.